This whitepaper expores how RFID technology can be used to reduce costs, avoid delays, and improve compliance in the nuclear construction industry. Offering a complete line of HDPE pipe and accessories. Offering a complete line of couplers, rebar, chairs, dowels, ties and fabricated products. Extensive stock of metal pipe, tubular products and HDPE pipe and accessories. Can't find what you are looking for? 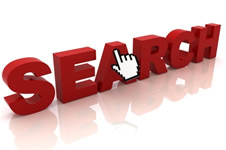 Use our site search to find relevant white papers, articles and other information located on our site. If you need additional assistance in locating information or need more detailed information, please feel free to contact us. Tubular products include a wide range of high quality seamless tubes (SMLS) and welded tubes (ERW), fittings and flanges. Offering a complete range of Couplers, Rebar, Chairs, Dowels, Ties and fabricated products. Offering a complete line of sheet and plate stock in various sizes and thicknesses. All brand / product names are trademarks or registered trademarks of their respective holders.